AuditMaster is a great tool to track who is doing what, when, and from where, to your data. For more information about this product, please see our main web site's Auditmaster page. 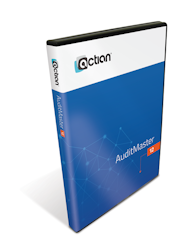 AuditMaster v12 is designed for use with Actian PSQL v12 Server or PSQL Vx Server 12 Engines, and will work on either 32-bit or 64-bit Server engines. The AuditMaster license you purchase is for a single server, regardless of your PSQL engine user count. If you are running PSQLv11, please see our AuditMaster 8.x page. If you are running PSQLv10 or older, please see our AuditMaster 6.x page.